Easton accessories are easily accessible. In fact, they are just a click away! For a sports enthusiast, Easton accessories are of aesthetic and utility value, as they satisfy the natural inclination to possess branded items and at the same time give full utility value. 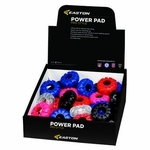 Easton accessories come in attractive colors and dashing designs. Try them once and you'll agree! 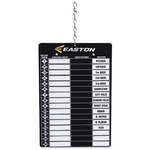 The Easton accessories range includes Easton Logo Hats, Easton Banners, Easton Logo T-shirts, Team Bags, Batting/Pitching equipment, Glove Care equipment, Sunglasses, Wristbands and many more things. 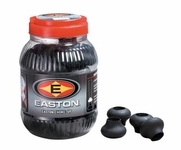 Easton accessories are products that set the highest standards in quality and durability. All Easton products are the result of constant efforts of the company to innovate and bring out only the best. It is not surprising that the number of players choosing Easton products is on the rise. Easton Ultra Lite Z-Bladz Sunglasses are so light and comfortable that you�ll almost forget you�re wearing sunglasses. Easton Banners are made from heavy duty vinyl. 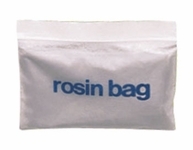 They come with double stitched borer which increases their durability. They come with grommets for display. Easton Logo T-shirts are made from 100% cotton material. 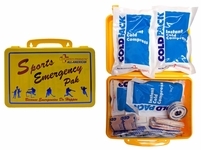 They are available in black and white colors with four color graphics to add to the appeal. They are very good for casual wear too. Available in M, L, XL, and XXL sizes for all age groups. The Easton training accessories include Easton Pop Up Catch Net, Easton Hyperlaunch Ball Launcher, and Easton EZ Curve etc. 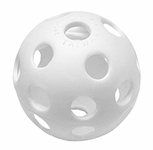 the Pop Up Catch Net is a multi-functional tool and is useful for both in-field and out-field drills. The Hyperlaunch is an excellent device for both practice and pre-game warm up. The Easton EZ Curve has soft light weight foam light construction. 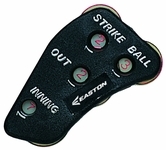 It helps in learning to hit curveballs, risers and sliders in addition to fastballs. It is fun and easy to use. 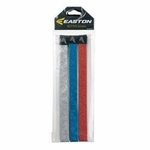 Easton accessories are the best products with high quality and long life.